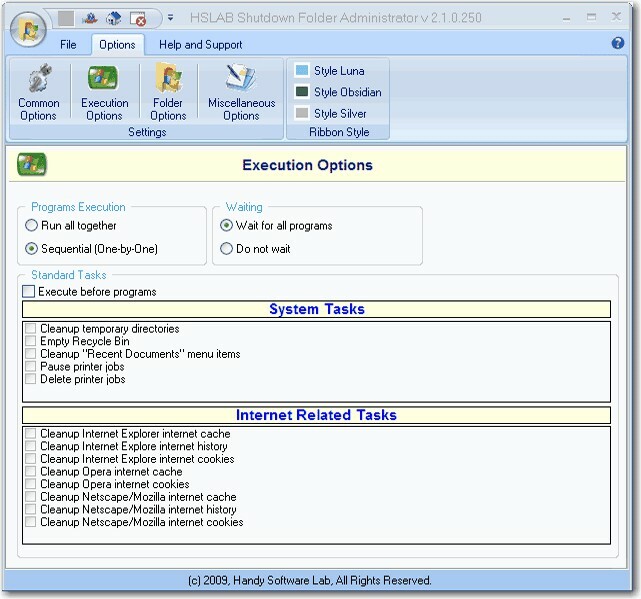 HSLAB Shutdown Folder Lite 1.8.35 is automation tools software developed by Handy Software Lab. 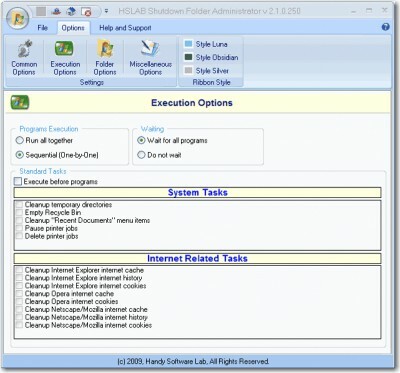 This automation tools software is freeware, which means you can download and use HSLAB Shutdown Folder Lite 1.8.35 absolutely free. There's no need to buy the product. HSLAB Shutdown Folder Lite 1.8.35 supports different languages (including English). It works with Windows XP/Vista. We have tested HSLAB Shutdown Folder Lite 1.8.35 for spyware and adware modules. The software is absolutely safe to install. Our website has thoroughly tested system utilities product HSLAB Shutdown Folder Lite 1.8.35, written the review and uploaded installation file (1888K) to our fast server. Downloading HSLAB Shutdown Folder Lite 1.8.35 will take minute if you use fast ADSL connection. View the list of NTFS symbolic links/junctions in selected folder.